Teaching a young learner the alphabet? 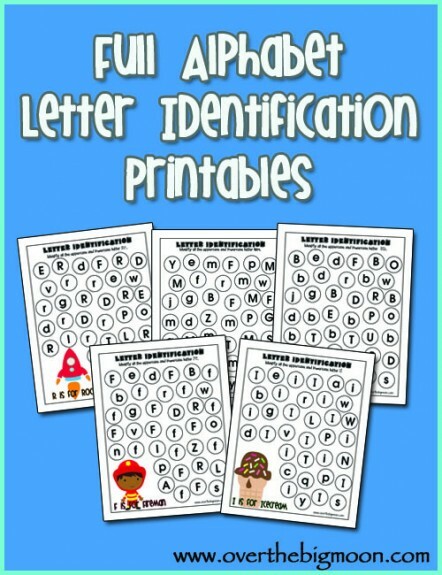 You can download free full alphabet letter identification printables at Over the Big Moon. Find more free alphabet homeschool resources here!